Alimony In Nevada: What Is Periodic Alimony? 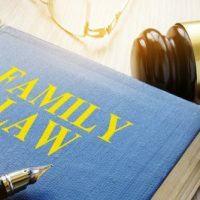 There are different types of alimony commonly awarded in Nevada divorces, and by far the most common is what courts call periodic alimony. Generally, this is what one thinks of as “alimony” in most divorce proceedings, but even so, there are common misconceptions about such awards. It is important that you understand what an alimony award does and does not do in Nevada. Alimony is not awarded as a matter of course. The judge in your divorce case must decide that it is appropriate and that decision is discretionary. The Judge will examine many different factors. Examples of those include the current financial condition and the future earning potential of both spouses, the length of the marriage, the standard of living enjoyed by the spouses during the marriage, whether or not either spouse contributed as a homemaker and/or child-care provider, or if either spouse enriched their career (for example, going to school). Unlike most other states, Nevada does not have hard and fast guidelines for the amount of alimony that should be awarded in a specific case. This means that judges have more leeway in making the determination than they might in other states. Nonetheless, unless the figure arrived at is manifestly unreasonable it will likely be allowed to stand, although there is a potential for future modification of either the term or amount, or both. The average person tends to believe that paying alimony is forever – or at least until their ex-spouse passes away – but this is not the case in Nevada. Alimony payments also end when the ex-spouse remarries unless the parties waive that provision. The award may also end if certain other situations come to pass that merit modification by a Judge through the filing of a motion. For instance, if you are terminated from your job or otherwise placed in a position where you make too little money to afford to pay alimony a Judge may terminate or reduce the award. Nevada courts are not generally interested in making someone pay more than they can afford – doing so would force the person onto public assistance, which would be manifestly unjust. Retirement, or cohabitation may also justify ending an award, depending on the specific facts. If you have any further questions on any type of alimony awarded in Nevada, the lawyers at the Kainen Law Group may be able to assist. Call our Las Vegas office today at 702-823-4900 to set up an appointment to discuss your case.